The romance of train travel that ignited the late 19th century returns in 2017. Think of opulent railway journeys like the legendary Orient Express, with whistles echoing in the evening air and gourmet meals served in elegant dining cars. Imagine the magnificent scenery of Canada unfolding just outside your train car windows. 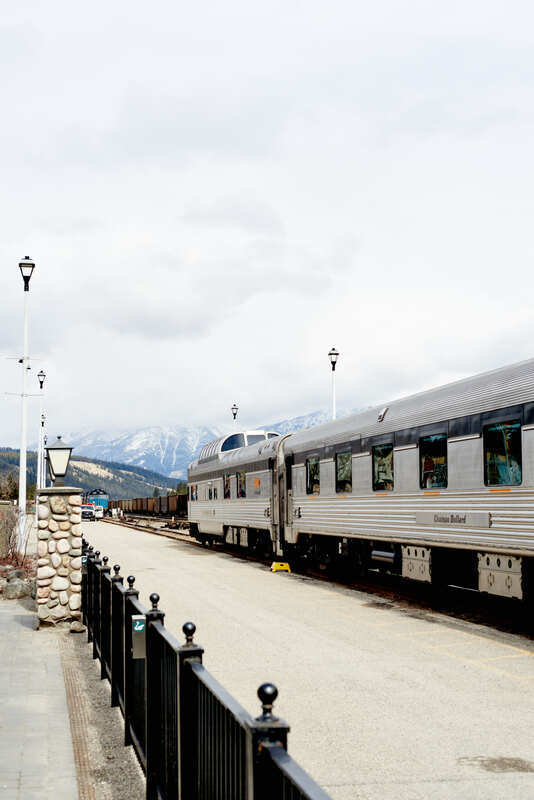 With 150 candles blazing on Canada's birthday cake this year, Fairmont Hotels & Resorts has teamed up with VIA Rail Canada to create a luxury trip for the ages: The Great Canadian Railway Adventure. What better way to celebrate the nation's milestone than by traveling its length in an epic train voyage, pausing or overnighting at special cities along the way? Roughing it is not on the program. 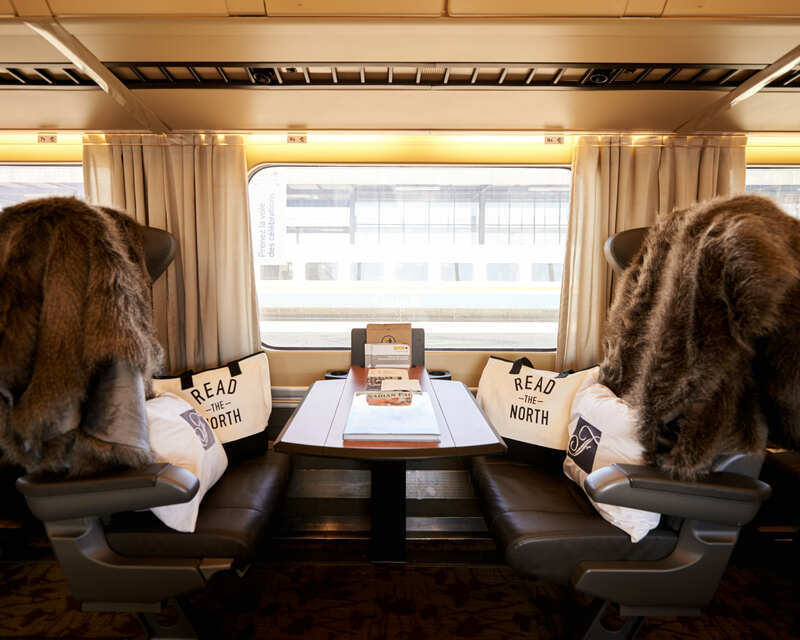 Passengers relax in Via Rail's first class cars, with private sleeping cabins, dine on delicacies prepared by top chefs, and luxuriate in dream accommodations such as the magnificent Fairmont Château Laurier, Ottawa and Fairmont Le Château Frontenac in Québec City. Get ready to be inspired by Canada's dramatic geographic and cultural diversity on this 20-day odyssey. Fairmont and VIA Rail take you from cosmopolitan Vancouver in the west, over the dramatic Canadian Rockies and across wide prairies, gentle hills and river valleys, to finish up in passionate, charming Quebec. Of course, the real Canada is also found in the towns and cities along the way. Passengers on this adventure stop and explore the most intriguing spots the train passes through, starting with two nights in Vancouver at Fairmont Hotel Vancouver. 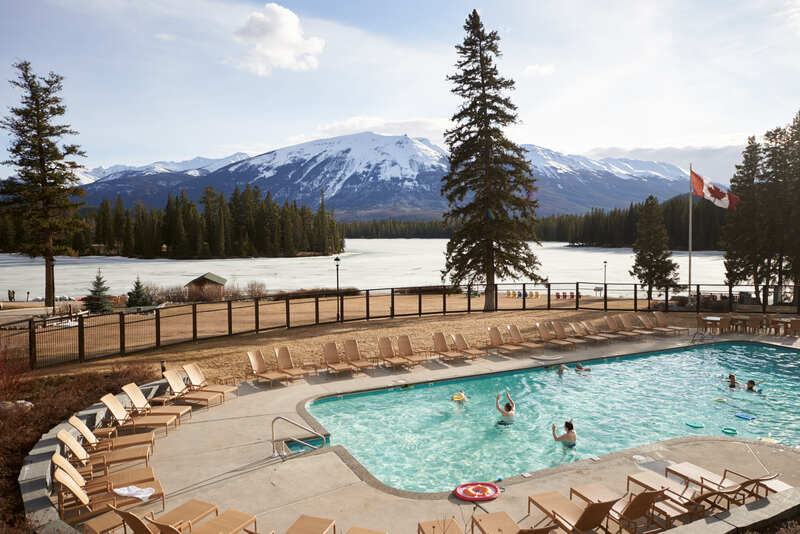 Other stopovers include two days in Jasper, tucked between snowcapped peaks in the comfort of the gorgeous Fairmont Jasper Park Lodge, followed by visits to Banff, Lake Louise, Winnipeg, Toronto, the nation's capital Ottawa, Montreal, and Québec City. 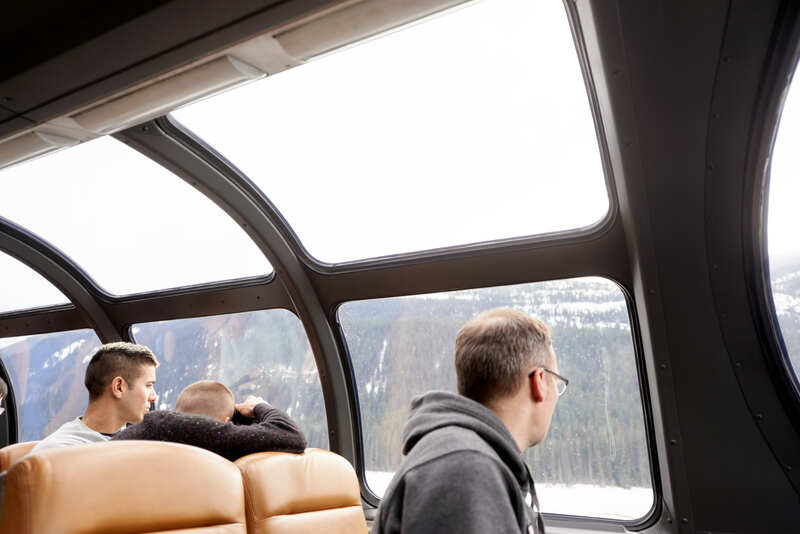 The Great Canadian Railway Adventure is an exciting train trek across the nation, perhaps spotting ram, elk, moose and even a bear, right outside the windows. The trip is also an opulent, sensory experience, as you sample the elegance and superb accommodations of the best historic castles and luxury hotels in the Fairmont family. Such an epic trip deserves a brilliant launch, and Fairmont offered nothing less. Media stars, social influencers and celebrities were invited to join the inaugural railway journey in April 2017, from Québec City to Vancouver on a 10-day tour. The journey traveled east to west, but many of the amenities and all of the stopovers were identical to those now offered for the full-length west-to-east trips through the end of the year. The launch began on a high note, with the invitees staying at Fairmont Le Château Frontenac in Québec City where guests enjoyed afternoon tea, a cocktail mixology session and one of the two Canadian Heritage Dinners during the trip. The hotel was built more than a century ago by the Canadian Pacific Railway, and is one of the most photographed hotels on the planet. Its turrets, graceful hallways and sweeping views of the St. Lawrence River have attracted such luminaries as Franklin D. Roosevelt, Winston Churchill and Alfred Hitchcock over the years. After a lunch stop and exploration of Montreal, where the newly renovated Fairmont Queen Elizabeth will re-open this year, the train continued to Canada's capital city, Ottawa. 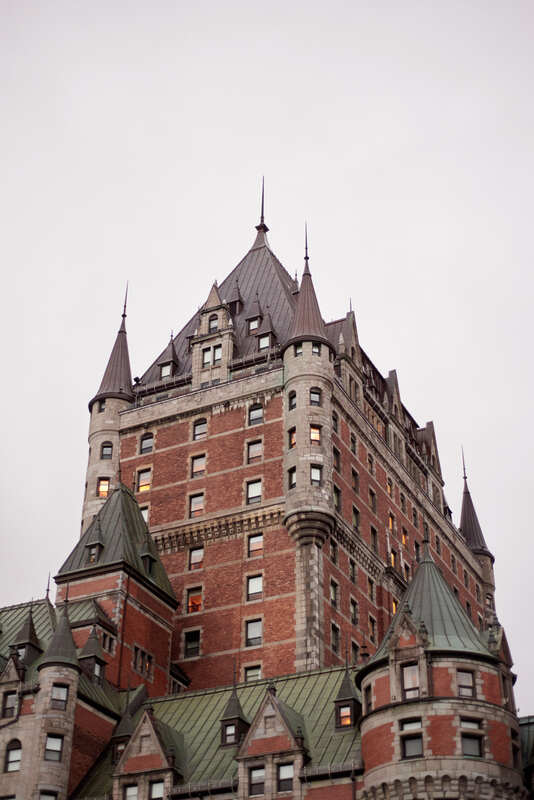 Guests stayed at another castle, Fairmont Chateau Laurier, with its superb views over the Gothic-inspired Parliament building complex. A landmark in its own right, Chateau Laurier was modeled after a 16th-century French château when it was built in 1912. They also enjoyed a tour of Byward Market, chocolate-making lessons at the Cordon Bleu school and a relaxing visit to the Nordik Spa. 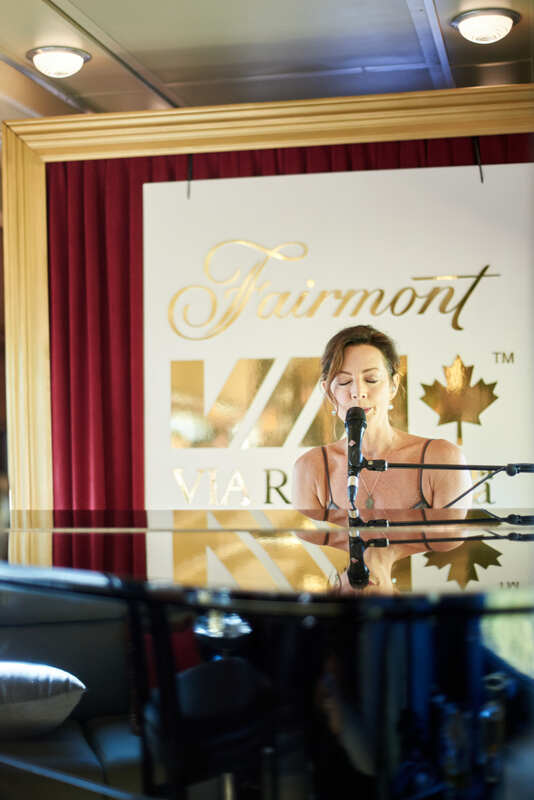 Between Ottawa and Toronto, Fairmont Hotels & Resorts amazed and delighted its guests with a gala surprise: a private concert performance by iconic Canadian singer Sarah McLachlan. The event was staged in the Glenfraser lounge car, decorated luxuriously with lush faux fur blankets, comfortable pillows, and candles on every table. Golden lights and a curtain of scarlet velvet provided the backdrop for her performance. Fairmont’s famed director of mixology, Nader Chabaane, served cocktails from the Classics Perfected collection. Ms. McLachlan thrilled guests with favorites like Building a Mystery, Adia, Ice Cream and Angel, accompanying herself on her guitar and also on the full baby grand piano brought in for the occasion. It was a special moment for everyone, including the delighted McLachlan for whom the launch was actually the first train trip of her life. Toronto is the most culturally diverse city on the planet, and you can hear more than 140 different languages on the streets. The group arrived at Union Station, where they were serenaded by live jazz band before being ushered into Fairmont Royal York just across the street to enjoy a speakeasy-themed cocktail party. 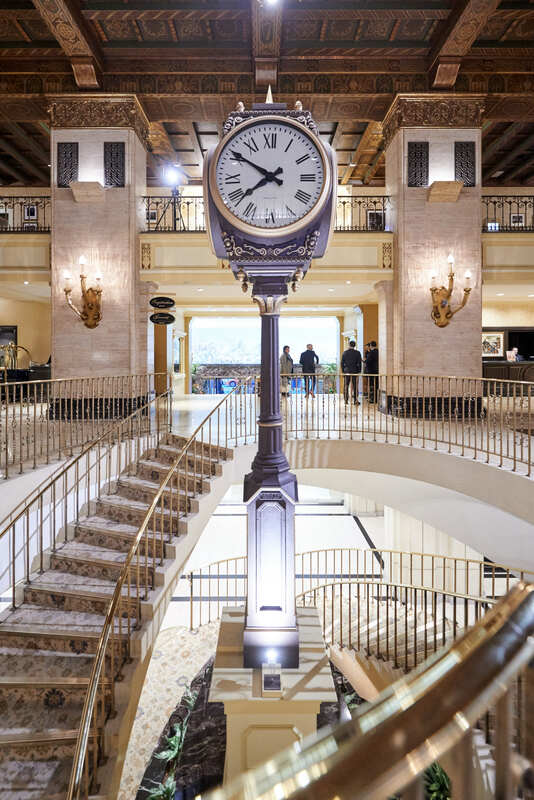 Built in 1929, this hotel is a Toronto superstar, with rooms offering views of the cityscape and CN Tower. Jennifer Bain, Travel Editor with the Toronto Star, was one of the guests on the inaugural launch. She raved about the "power breakfast" they enjoyed at Fairmont Winnipeg, including the Saskatoon Pancake Stack, made with Saskatoon berries from Western Canada. After the group arrived in Calgary and lunched at the Fairmont Palliser, it was off to adventure land. Fairmont partnered with BMW to provide guests with BMW X5 vehicles to explore the Canadian Rockies. This started with a drive to Banff Springs. 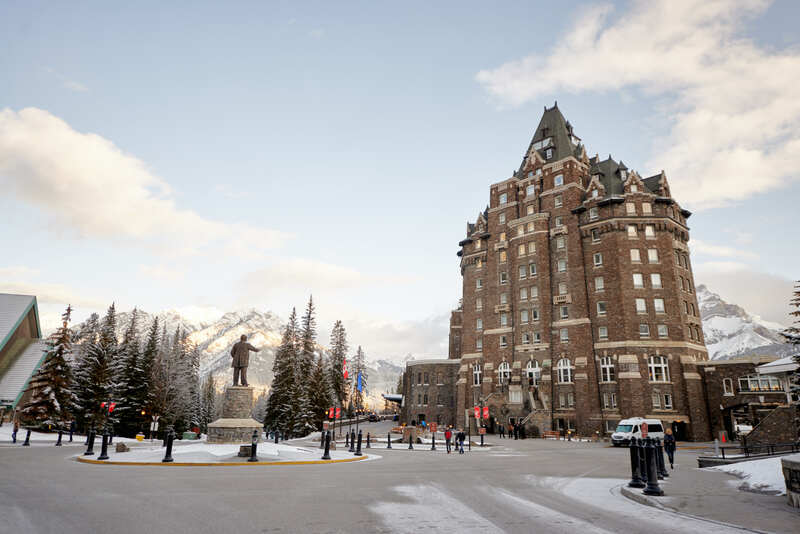 An overnight at the stunning Fairmont Banff Springs Hotel brought new adventures and difficult choices. Guests could opt for a relaxing soak in the serenity of the Willow Stream Spa, with its pulsating waterfalls and rejuvenating mineral pool. Or they could choose a bird’s eye view of gorgeous Banff scenery from a gondola trip up a ridgetop boardwalk 2,900 feet above Banff. Guests could explore the new restaurants, the multisensory theatre and admire the jaw-dropping vistas from the 360-degree rooftop observation deck. The Banff stop included not only the Fairmont Banff Springs Hotel Heritage Tour, but a Heritage Dinner and Cocktail party in Mount Stephen Hall that included such delights as Elk and Wild Boar Terrine en Croute with Saskatoon Berry Chutney and Pickled Pearl Onions. A hike around lovely Lake Louise was also on the program, plus dogsledding adventures and a historic tour of Banff’s beautiful old castle. The group dined at the Alpine Social at Fairmont Chateau Lake Louise, then drove to the elegant Fairmont Jasper Park Lodge for the evening. Jasper is an official Dark Sky Preserve (designated by the Royal Astronomical Society of Canada) because it has virtually no light pollution, creating ideal night-sky viewing conditions. That night, guests were treated to the Jasper Dark Sky Planetarium Experience. Dinner at Jasper that night was unusual: a stroll from cabin to cabin as guests enjoyed the Signature Cabin Crawl Dinner. They indulged in delicious courses in each unique cabin. The next morning’s choices included treatments at the Fairmont’s luxurious spa, Fat Tire biking, an outdoor yoga experience or a guided Property History Hike. Guests on the Hike spotted a ram. The launch tour wrapped up in Vancouver, a city of breathtaking natural beauty and lots of green space, including Stanley Park with its stunning seawall. Guests ended their railway journey with a stay at Fairmont Hotel Vancouver, built in 1939 by British royalty. 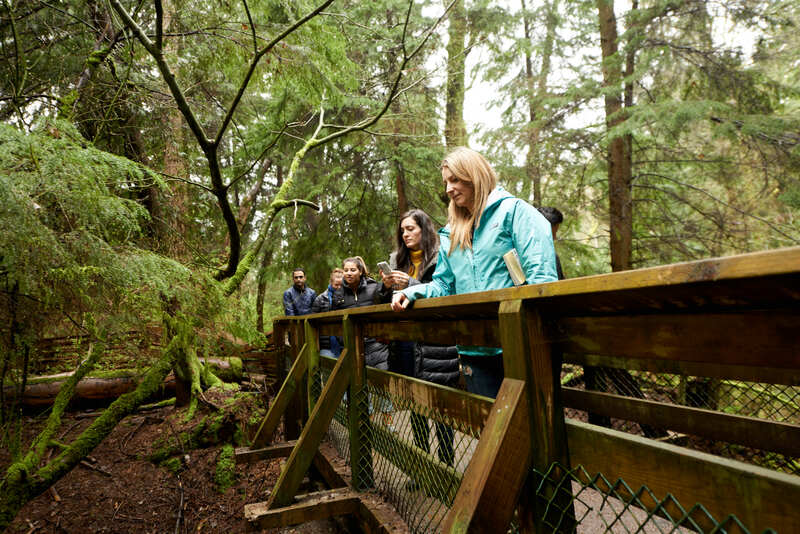 They enjoyed a tour of the city with activities ranging from foraging for wild mushrooms to a visit to the market on Granville Island, before heading home with lifelong memories of Canada's wonders. If this sounds like the trip of your dreams, you can visit the same cities and enjoy the same activities plus many more by booking the full 20-day trip. You can include a trek to Niagara Falls, take a boat tour of Spirit Island on the indigo waters of Maligne Lake, schedule a walking tour of Old Montreal or a visit to Ottawa’s National Art Gallery. For a delightfully hands-off experience, select the pre-curated itinerary and let Fairmont's experts plan your trip down to the last detail. If you'd rather design your own adventure, choose from a wide variety of stops and visits to create a custom experience you'll remember for years to come. For a full list of your options, check out the sample itinerary, and choose which of the many activities provide the ideal celebration of Canada for you. Whichever options you choose, get ready to fall in love with Canada all over again. Travel writer Teo Spengler splits her time between San Francisco and France’s Basque Country, and travels extensively in Europe. Her work focuses on the best luxury hotels, resorts and travel experiences on both continents. She has published thousands of articles for such publications as USA Today and SF Gate and for brands including InterContinental Hotels Group, Choice Hotels, JetBlue and United Airlines.